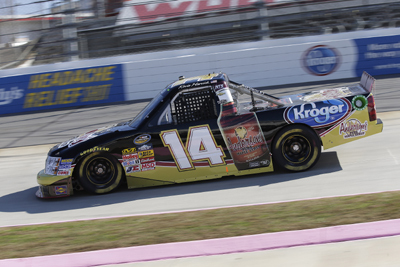 Making his second start of the season for NTS Motorsports, Kevin Harvick entered the weekend at Martinsville (Va.) Speedway hoping to score the team's first career win in Saturday's Kroger 200. Securing the 21st starting position, Harvick and the No. 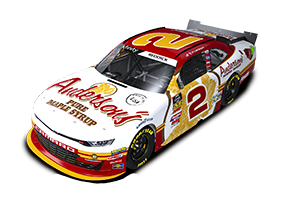 14 Anderson's Maple Syrup team set their sites on the front of the field and began their charge forward early in the 200-lap event. Harvick continued to run in the third position as the race was slowed four more times over the next 50 laps, waiting for the best time to make his final moves to the front. Unfortunately for the No. 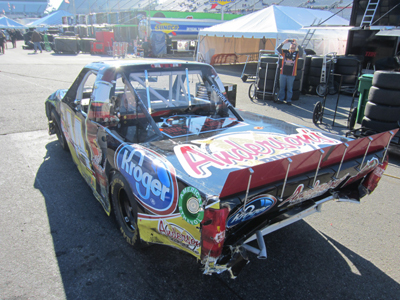 14 Anderson's Maple Syrup team, Harvick was involved in a multi-truck incident on lap 188 while running in the top five. With too much damage to continue, the team was forced to retire to the garage, leaving Harvick with a disappointing 30th-place finish. Harvick: 'Punk ... kids' reason for RCR exit. No Love Lost: Harvick calls out Dillon Brothers.